This is the party tents of all party tents. At 100 feet wide by 280 feet long, this tent is made to hand large event with ease. The 100 x 280 Premier Party Canopy Tent makes no compromises when it comes to quality of materials or craftsmanship. 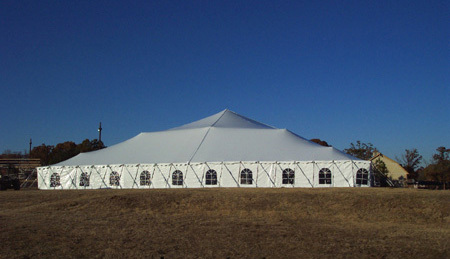 This party tent is called the Premier and will protect your guest from the rain as well as the rays of the sun. This tent is made by Ohenry Tents.